Newly built residential accommodation, or those converted from existing premises, requires a certain standard of noise reduction between rooms. Our sound insulation testing (for airborne and impact noise) is carried out by one of our experienced acoustic consultants registered with the Association of Noise Consultants (ANC) pre-completion testing scheme, and provides a quick and efficient service. A sound insulation test is a measure of how much sound gets transmitted from one room to another, for rooms which are either next to each other (party wall sound insulation) or one above the other (sound insulation between floors). 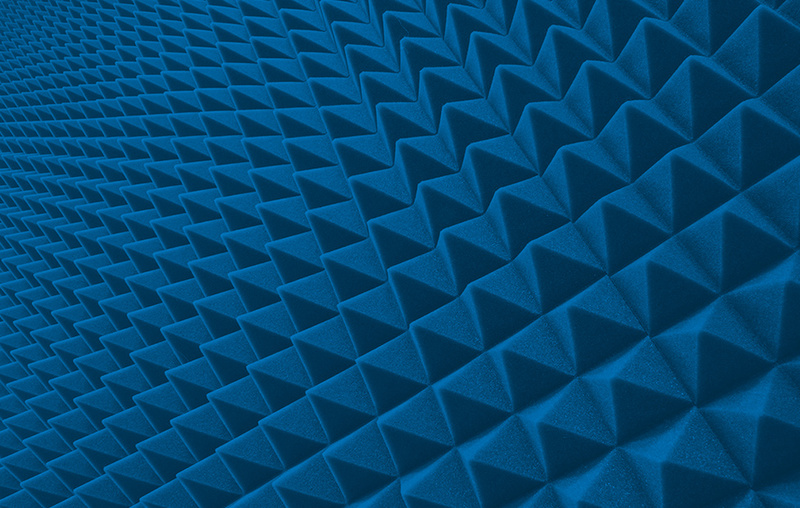 Why is Sound Insulation Testing Required? As a responsible developer you want to make sure that the sound insulation between dwellings is of a good enough standard to stop future occupants disturbing each other. It is also covered by Building Regulations Approved Document E which requires testing to be carried out to demonstrate ‘reasonable resistance to sound from other parts of the same building and from adjoining buildings’. This is defined by a noise index specified in British Standard BS EN ISO 717.
Who carries out Sound Insulation Testing? The person carrying out the building work should arrange for sound insulation testing to be carried out by a test body with appropriate third-party accreditation in accordance with Approved Document E states that. This includes members, such as ourselves, of the Association of Noise Consultants Registration Scheme. What does a Sound Insulation Test Involve? In simple terms, the test involves making a noise in one room and measuring how much noise/sound can be measured in the room next door, or above and below. A measurement of impact sound transmission is also made by using a ‘tapping machine’ on the floor and measuring the level in the room below. In practice, the tests are carried out using specialist equipment and a methodology specified in British Standard BS EN ISO 140, which requires measurements at a number of locations and a test of ‘reverberation time’ in the receiving room. What if the Sound Insulation does not Comply with the Building Regs? If the results of the sound insulation test fail to comply with the building regulations, we can provide advice on how to improve the sound insulation performance of the walls and/or floors, as well as identify any weak spots or problem areas. Although this is outside the scope of the test report produced under the ANC Registration Scheme (which is purely concerned with the sound insulation performance of the existing structure), we offer this to our clients as a design service and to aid them in future tests. Sound insulation advice following a failed test would include interpretation of the results to provide a reasoned explanation for the failure, together with potential solutions to remedy poor performance of specific elements. For more information on our sound insulation testing or to get a quote, please contact us.